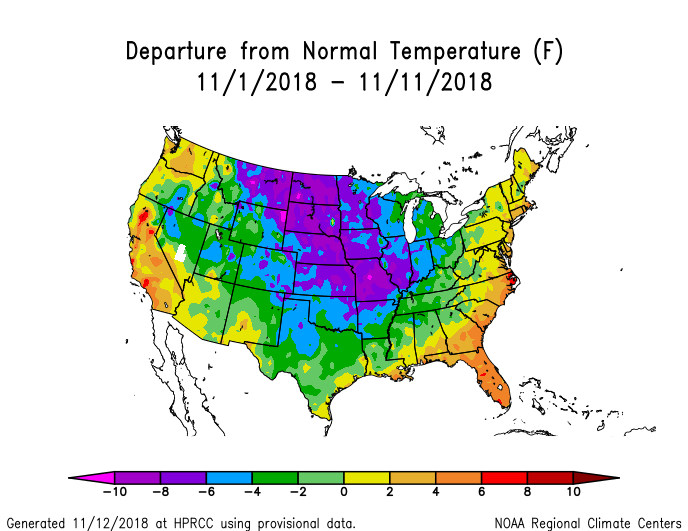 The first third of November is over, and the climate pattern seen so far really shows the trough of cold air that has crept into the central part of the United States. 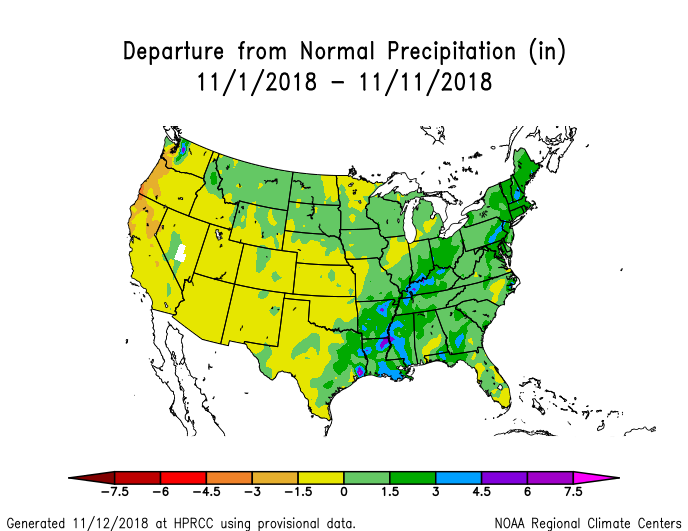 In the Southeast we’ve seen a lot of rain in the circulation on the east side of that trough, and more rain will occur this week as a low pressure center that formed in the Gulf of Mexico slides northeast along the east side of that wave. 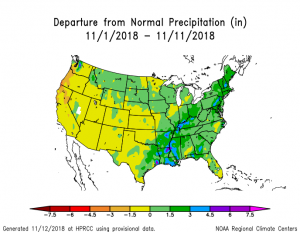 The rain we are getting this week should put an end to the dry conditions that have been occurring in parts of Georgia, although Florida may not see much benefit. Posted in Climate summaries. Bookmark the permalink.